The section of C-28 highway, known as 'Puerto De La Bonaigua' is a sinewy ribbon of road on the Spanish side of the border between France and Spain. Having lived in Spain myself for a while, I have been on some pretty amazing mountain roads, and find it not difficult to believe that this one might be an incredible route. 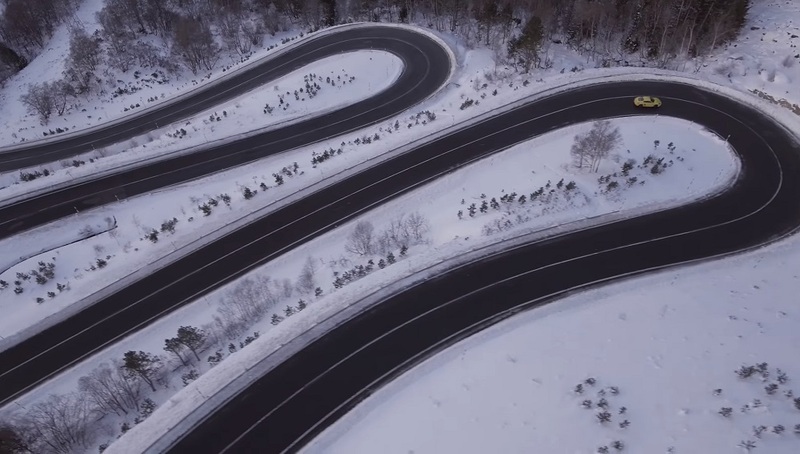 Greatest in the world is extremely high praise for an as yet largely unknown highway in the Pyrenees, but based on Henry Catchpole's assessment in this latest video from Carfection, it doesn't seem all that far fetched. Of course, any upper-tier road will feel far better than the sum of its parts when driven in something as magical as Porsche's 718 Cayman GTS. The road itself is a twisting switchback of a thing, running up to a gorgeous skiing mountain. If you're not going skiing, you can easily zoom up to the top and run down the other side for a different kind of exercise. If you're looking for a road to aspire to drive, ship your car to Spain immediately, because this looks like some of the best driving in the world. Catchpole has been driving professionally for quite a few years, so if he says it's a great road, it must be absolutely stellar. As great as the 718 Cayman GTS might be, Catchpole (like myself), just can't get over the turbocharged flat-four's exhaust soundtrack. To his ears, it's harsh, gruff, gravelly, and not very inspiring, which is a stark difference from the delightful flat-six the car used to be powered by. Regardless of the audio profile, the 718 continues to impress with perhaps the best driving dynamics Porsche has ever sold to the public. This is an incredibly capable Porsche in its own right, and is perhaps one of the best brand new rides with which to tackle the alleged 'greatest road'.